Global presence with Mutilingual IVR and Regional Accents! 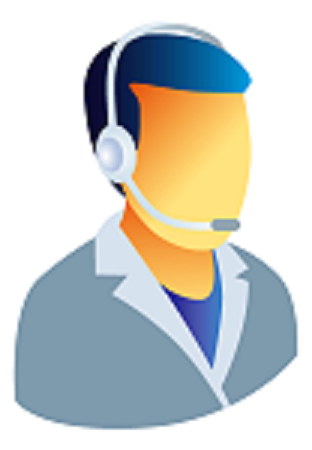 CallGlide is a Cloud PBX and Contact Centre for Salesforce. It provides a comprehensive Interactive Voice Response, (IVR) / Auto Attendant system and is highly integrated with Salesforce. As soon as an inbound call arrives Salesforce data is inspected to identify the caller and gather information useful for routing and queue prioritisation. The data from Salesforce is used to construct a personalised and efficient user journey to the correct destination, whether that be a self service interaction with Salesforce or connection to the most appropriate agent via a queue. Speech Recognition – Because the system can use speech recognition, you no longer need to make your callers take their mobile phone away from their ear to press keys to navigate through your IVR menu. If the caller speech cannot be recognised due to say, a noisy environment the system reverts to using the phone keypad. * English language only feature. Multiple menus per organisation – The menus presented to the caller can be based on day of week, date and time and number called. Multilingual with Regional Accents – Present menus in the local language of your offices around the world. Menus based on date and time – Present different menus based on day of the week, time of day and date. Deal with national holidays or out of hours periods. Caller Verification – Optionally fully verify the caller using an Account Number or Membership Number and a PIN held in Salesforce. (You can even use randomly selected digit positions from the PIN). Present different menu options to if the caller if unidentified, identified or fully verified. Menu options to Read customer data from Salesforce – Define menu options to read specific Salesforce data and use it to construct a spoken response to the caller e.g Say an account balance, customer name or order status. Update Salesforce fields using caller input – Define menu options to update select lists and flags in Salesforce. e.g. Order a printed statement. Request a call back.